Predation is an inevitable way of life for many animals, from cottontail rabbits to fireflies and beyond. Although fireflies (family Lampyridae) are usually lucky enough to have a couple anti-predator tricks up their sleeves, even they can't always escape being eaten for dinner. Lightning bug is another descriptive moniker for the immense group of insects. Fireflies are omnivorous insects that reside mostly in tropical and temperate climates. Their names are misleading in that they're not legitimate flies, but rather beetles. Thousands of distinct species of fireflies are thought to exist, and in all sorts of living environments from damp forests to wetlands. As nocturnal creatures, fireflies typically tend to their business when it's dark. They are extremely conspicuous creatures due to the bursts of light they give off at night. As far as prominent predators to fireflies go, amphibians are big ones, specifically toads and frogs. Frogs have been "discovered" as having lights inside of their bodies, only for people to later realize that the lights were courtesy of their many delicious firefly dinners. Predatorwise, fireflies aren't in the clear outside of the amphibian realm. Many fireflies consume other fireflies. 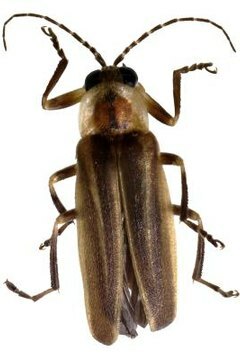 One example of this involves the common eastern firefly (Photinus pyralis). The females of this species regularly make dinner out of the males, all under the initial guise of mating. Spiders and birds routinely dine on these flying insects too, as do diverse mammals such as bats and mice. One savvy adaptation against predation that fireflies have is their famous glow, which isn't only beneficial for courtship. Their intense light functions to alert would-be predators of their markedly disagreeable flavoring, a result of lucibufagins. Fireflies' bodies often contain this chemical, which has an undesirable taste -- one that isn't easy for predators to forget. These steroids trigger vomiting in mammals and birds alike. Although lots of animals eat fireflies, remember that fireflies are also animals that eat others, too. Some adults do prey on animals, but lots of them also abstain from feeding fully. Some also eat mostly pollen and nectar. The larvae, on the other hand, are masters of dining on invertebrate larvae, whether of bugs, earthworms or slugs. Genetic Science Learning Center: What Makes a Firefly Glow? What Colors Do Fireflies Glow In? Why Does a Red Fox Scream? What Are the Red Wolf's Enemies? What Are the Indian Peacock's Predators? What are the Differences Between Male & Female Monarch Butterflies?